The ferry to Hunters Hill takes you across sparkling Sydney Harbour with great views of the Opera House, Harbour Bridge and all the coves and inlets along the harbour. Despite the urbanisation many of the headlands are still tree-covered and cliff-girt. At Hunters Hill the Great North Walk twists along the shoreline past Morts Dock and then through famous Kellys Bush to wander through the lanes and back streets before reaching Boronia Park where the track follows the Lane Cove River through Blackbutt forests that conceal the surrounding suburbs. Despite the occasional weed infestation this is a very pleasant walk. At Thornleigh the track crosses the suburbs along the Pennant Hills Ridge to drop down into Berowra Creek Valley which it follows north past sandstone cliffs and gullies covered with native forests to Berowra Waters. Here it climbs again across the ridge line through spectacular spring wildflowers to Berowra Station where it crosses the railway and freeway to run north-west to Brooklyn. Along the long gradual descent there are stunning panoramas of the Hawkesbury River. 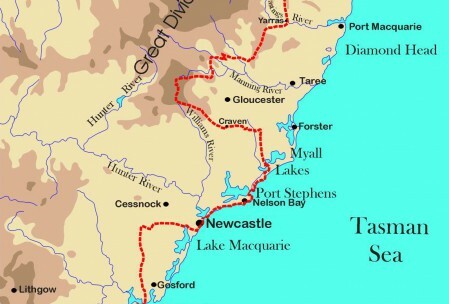 On the other side of this large estuary the track snakes across the sandstone plateaus of Brisbane Waters National Park to Scopas Creek with its stunning view of Mooney Mooney Creek and Freeway Bridge to the north while, to the south, the high rise of Sydney may be seen across endless forested ridges. The track drops from the plateau to wind along Mooney Mooney Creek to the old Mooney Mooney dam and its resident mob of koalas. 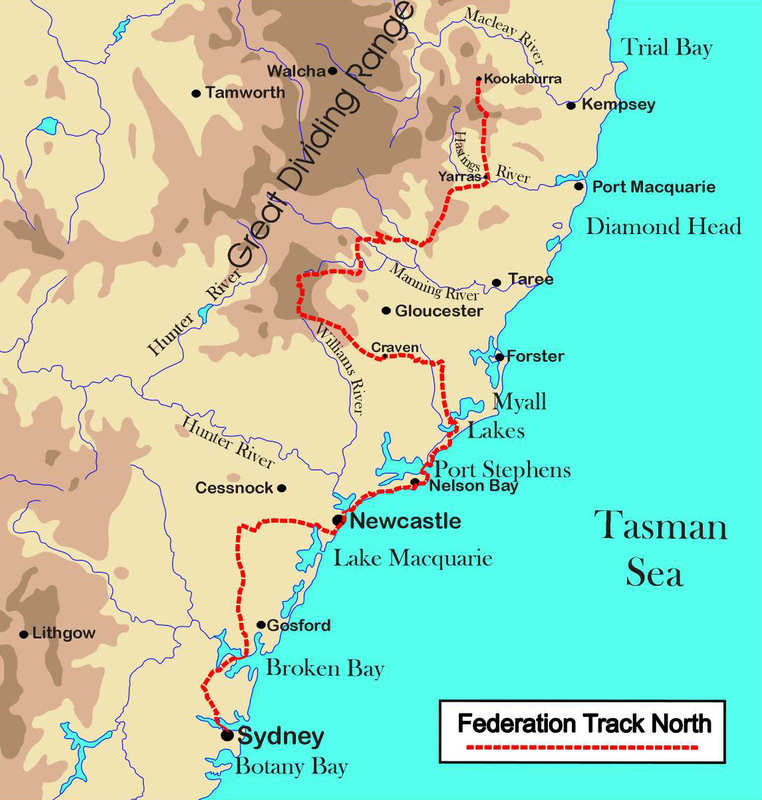 Here the track leaves the creek to wander through road reserves and back country roads across Somersby Plateau before descending to Ourimbah Creek. The quiet gravel road soon changes to a 4WD track through rainforest along the creek before climbing into Jilliby State Conservation Area and Bumble Hill. From here it is a gradual descent along a disused road to the Yarramalong Valley.